Media coverage, publications and lectures from the Acupuncture Northwest & Associates team. Acupuncture Northwest & Associates has received prestigious awards, been featured on all of the major local news stations, interviewed for national podcasts, and has published books and articles throughout its over 18 year history. Congratulations to Stephanie Gianarelli and Matt Ferguson of Acupuncture Northwest & Associates! They have been awarded the prestigious award of Top Doc – East Asian Medicine – 2018. They also both won for 2017. This is an award that is voted on by other medical providers. Top Doc is a prestigious award voted on by other health care providers; doctors choosing who they entrust the care of their patients to. 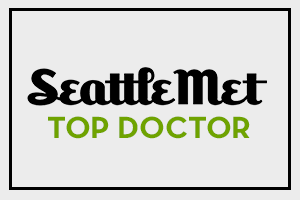 And Acupuncture Northwest & Associates has not one, but 2 Top Docs in the category of East Asian Medicine. Congratulations again, Stephanie and Matt! Prime yourself for pregnancy with this proven method of fertility enhancement using Traditional Chinese Medicine. This short book relies on time tested Chinese medicine and modern advances in science to bring you the best that the East and the West has to offer to prepare your body for pregnancy. This short e-book (yay!) is an amazing resource for anyone who wants to get pregnant. The authors explain how eastern and western medicine can be used separately or together to help you build your family in simple, clear language. I’ve had acupuncture before, but I had never learned about any of the science behind it, and this book does a great job of explaining the hows and the whys. I also appreciated the many references to peer-reviewed journal articles that have examined the ways eastern medicine can enhance fertility (great for all you skeptics!). I would definitely recommend this book to anyone trying to get pregnant. 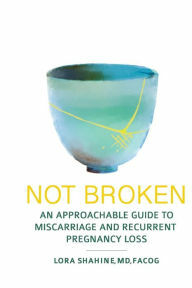 Not Broken is a comprehensive, evidence-based but easy-to-read guide for anyone who wants to understand all aspects of miscarriage and recurrent pregnancy loss. Whether you are a patient struggling with miscarriages or a medical provider caring for patients with recurrent pregnancy loss, you will learn something from this resource. Dr. Shahine explains not only a typical Western medicine approach to evaluation and treatment for miscarriage but also includes Eastern approaches to care, lifestyle factors that will decrease your risk of miscarriage, and the emotional impact of recurrent pregnancy loss. You will finish this book feeling more empowered to be an advocate for your care and more hopeful than ever to continue towards your family goals. “I have one word to describe this fabulous book: FINALLY. Women with recurrent pregnancy loss have been needing this book for years.” – Dr. Alice Domar, associate professor of obstetrics, gynecology, and reproductive biology at Harvard Medical School and author of Conquering Infertility and Finding Calm for the Expectant Mom. Stephanie Gianarelli and Lora Shahine were interviewed by the podcast, "Beat Infertility" about their book. The podcast called, Using Eastern Wisdom with Western Medicine, aired October 20th, 2017. You can listen to it here! Kaci Aitchson of Q13 came into our office in September 2017 and filmed Stephanie treating a patient and then interviewed her about treating infertility with Chinese medicine and acupuncture. Two segments came out of that interview. Here they are! Eastern medicine and fertility piece aired on October 11, 2017. Stress, fertility and Eastern medicine segment aired October 10, 2017. 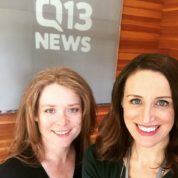 Stephanie was also on Q13 Facebook Live with Kaci at 11:15 on Wednesday, October 11th, 2017! Watch it here! Q13 Fox on May 20, 2015! (April 30, 2004) KING 5, a local Seattle TV station, featured Acupuncture Northwest and Stephanie Gianarelli on a piece documenting the positive effects of acupuncture and traditional Chinese medicine on fertility patients. Acupuncture Northwest and Stephanie Gianarelli were featured on two segments of KOMO news. To see the video clips, click the links below. The first link is an interview with Stephanie by the wonderful and late Kathi Goertzen, and the second link is a feature story on acupuncture which highlight's Stephanie's work. Lora and Stephanie were interviewed by Kate Daniels of the radio show, Inspirational Women, again. This time they discuss Lora’s new book, Not Broken, An Approachable Guide to Miscarriage and Pregnancy Loss and the concept of integrative medicine. 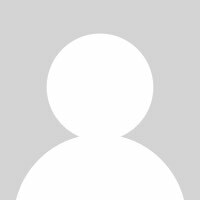 The show aired June 11, 2017 – Listen to it here. Listen to Stephanie Gianarelli and Dr. Lora Shahine discuss the importance of integrating Eastern and Western medicine, focusing in the field of fertility. In this warm informative half hour, host Kate Daniels guides the conversation to find out why Stephanie and Lora are so passionate about blending the two medicines for the benefit of the patient. January 31, 2016 – Inspiration Women Radio Show. Watch this short video on the benefits of treating anxiety with acupuncture with Natalie Willits. Learn about female infertility and Chinese medicine with Stephanie Gianarelli. Learn about male infertility and Chinese medicine with Stephanie Gianarelli. Learn about PCOS with our resident PCOS expert, Julie Booker. In this very interesting and short video, Matt Ferguson talks about how and why to make “Butter Coffee“. Learn what you can do about Diminished Ovarian Reserve, in this informative video featuring Dr. Cheryl House. Stephanie Gianarelli discusses Recurrent Pregnancy Loss and what you can do to decrease your risk of miscarriage. The Foundations of Fertility And Traditional Chinese Medicine – a class for Acupuncturists, taught by Julie Booker at Bastyr University in November, 2017. Stephanie spoke about Fertility Enhancement at RESOLVE on June 28th, 2017 at 6 pm at the Greenwood Library. FERTILITY AUTHOR PANEL November 16th, 2016 from 7:00 – 8:00 PM at University Book Store in Seattle. Science on Tap Lecture – September 28th, 2015 at 7 pm. 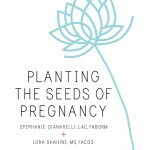 Lora Shahine and Stephanie Gianarelli talk about their new book, Planting the Seeds of Pregnancy. Taking Control of Your Ticking Clock – Fertility Workshop – Stephanie in Richmond, VA on November 7th, 2015 spoke about Chinese medicine and fertility enhancement. PCOS Conference – Julie Booker from the Seattle office spoke on November 18th, 2015 on how Chinese medicine can help with PCOS. Mindfulness Lecture – Matt Ferguson at the Vipassana Center in Seattle on May 16, 2015. The Role of Chinese Medicine with Assisted Reproductive Technology – A talk given by Stephanie Gianarelli for the doctors, nurses and staff of Pacific NW Fertility in August 2014. Cade Foundation Family Building Conference – Stephanie Gianarelli and Cheryl House were on hand to answer questions at this panel type event. March 19th, 2013 in Auburn, WA. Health and Safety Fair for the Tacoma School District on February 25, 2012 at Foss High School. Cooking with the Seasons – 6 part series on whole foods, 5 Element theory and how these relate to seasonal eating. Taught by Stephanie Gianarelli, LAc for Marlene’s in Federal Way. Classes were held throughout 2011. Acupuncture for Stress and Pain Relief – A talk for MetroParks Tacoma on July 13th, 2011 at MetroParks headquarters. The Integration of Traditional Chinese Medicine in the West- A talk given at University of Puget Sound on March 24th, 2011. Cooking for the Seasons (Part 1 – the Basics) – A cooking class taught by Stephanie Gianarelli, LAc on February 19th from 11am to 2pm at Marlene’s in Federal Way. Cooking for the Seasons (Introduction) – A cooking class taught by Stephanie Gianarelli, LAc, February 10th, 2011 at Marlene’s in Federal Way. Enhancing ART For Men and Women Using Acupuncture and Abdominal Massage – A lecture for the Annual Washington State RESOLVE Conference on April 24, 2010. Using Acupuncture For Your Good Health – A lecture given for Metroparks Tacoma on March 24, 2010. Staying Active with Massage and Corrective Exercises – A class for the Tacoma School District on March 23, 2010. Acupuncture for Pain and Stress Relief – A lecture for Marlene’s Market in Tacoma on March 16, 2010. Staying Active with Massage – A lecture for the Tacoma School District on February 25, 2010. Chinese Medicine and You – A lecture given to the City of Tacoma on July 15 and 22, 2009. Using Acupuncture For Your Good Health – A lecture given by Stephanie Gianarelli at the Tacoma School District on May 12, 2009. Male Fertility Enhancement – A lecture given by Stephanie Gianarelli at the Annual Washington State RESOLVE Conference on April 25, 2009. 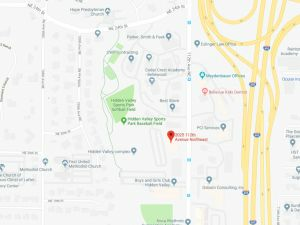 Treating Endometriosis with Traditional Chinese Medicine and Manual Therapy – A presentation given at the Seattle Endometriosis Society on September 18th, 2008. 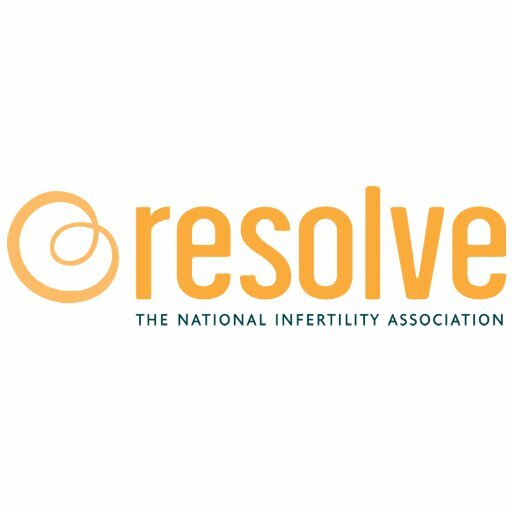 Exploring Alternative Therapies for Fertility Enhancement – A lecture given at the Annual RESOLVE Conference on May 10th, 2008. Preconception Optimization – A presentation at a RESOLVE monthly meeting on March 3rd, 2008. Enhancing Fertility with Mayan Abdominal Massage – A presentation at a RESOLVE monthly meeting on Nov 5, 2007. Complementary Therapies Panel – A presentation at RESOLVE Washington’s Annual Conference (March 24, 2007) on Fertility Enhancement using Mayan Abdominal Massage. Fertility Enhancement with Traditional Chinese Medicine – A lecture at RESOLVE’s Annual Conference (May 2006) by Stephanie Gianarelli, LAc. Enhancing Fertility with Chinese Medicine – Resolve Monthly Meeting (March 6, 2006). Chinese Medicine and Your Health – A presentation at the International School of Bellevue (April 7th, 2006). Chinese Medicine and Women’s Health – Informal gathering at Seattle OB/GYN (private practice with 12 OB/GYNs and 3 Midwives) answering their questions about Chinese medicine and women’s health (2006). Acupuncture in Women’s Health: Is the Needle the Answer? – Talk given at the Seattle OB/GYN Society (May 18th, 2005). Acupuncture in Women’s Health: Is the Needle the Answer? – Talk given at Virginia Mason Fertility Clinic (June 16, 2005). The Treatment of Infertility with Chinese Medicine – Presentation and round table discussion with the University of Washington Fertility Clinic doctors (who went on to create Seattle Reproductive Medicine) in 2004.